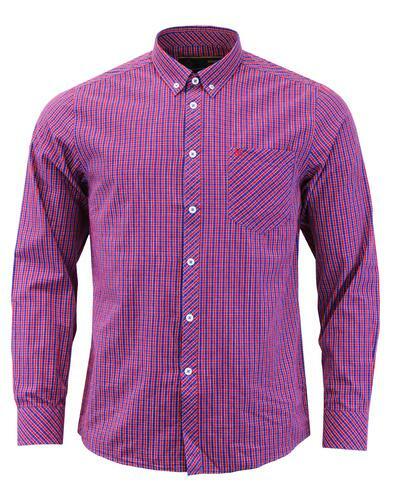 Merc Sunbury indie button down collar check shirt in red and blue. 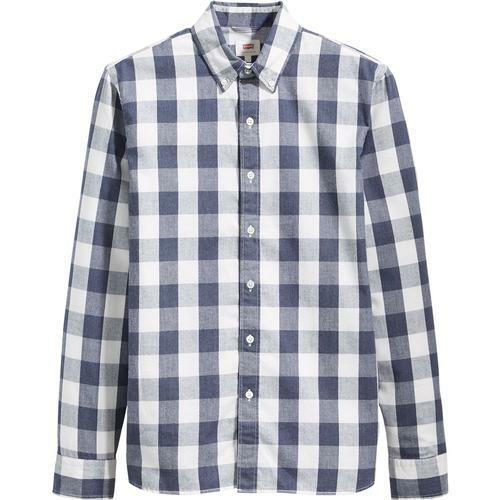 This Sunbury Merc shirt is a classic check shirt that's sophisticated and casual at the same time. Cool multi coloured check pattern blends effortlessly. Sunbury has a button down collar, Merc signature pearlescent buttons and a patch pocket on the chest complete with blue Merc embroidery. Pair with jeans and loafers for a smart-casual Mod look. 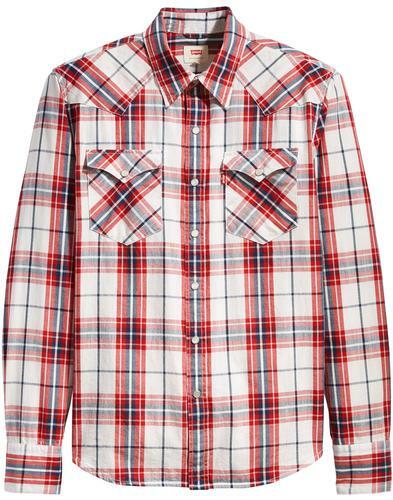 Sunbury indie button down collar check shirt in red and blue by Merc. Cool check pattern in a more wintery pallette. Patch pocket with Merc embroidery. Great for smart-casual looks - dress up or down.